The Earhart Club is an after school program for girls. 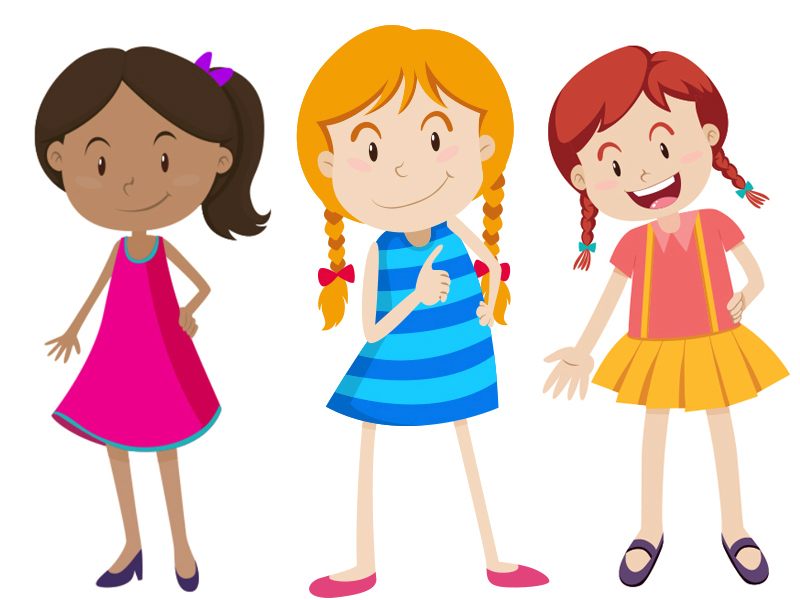 It’s mission so to help girls develop a healthy sense of self and to encourage authentic connections starting with their mothers and their friends. To prepare young girls to change the world! Our task job was to build a site that communicated this mission clearly and effectively so that they could reach more people. With big goals for growth and an amazing message, we were all too happy to give a helping hand! The biggest challenge for the site was to organize the information in a way that would make sense to moms. The orgnization is founded in some pretty cerebral psychology, and breaking that down into bite-sized chunks was key. Secondary goals were to ensure that the design was light, joyful, inspiring, and diverse. The Earhart Club is for all girls and we wanted that to be clear. 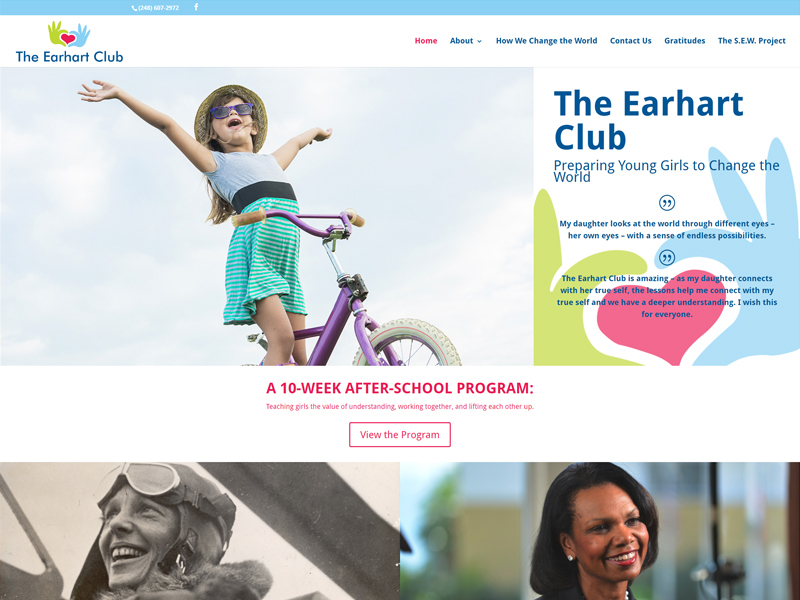 With a combination of real photos of girls and their moms, and a fun cast of illustrated characters, we helped the Earhart Club bring its mesage online. One of the core elements of the curriculum is a weekly lesson on a woman who changed the world, both past and present. Special permission from the Amelia Earhart Family allowed us to use the name and image, but it couldn’t be the sole focus. So we broke things up in a way that highlighted one of the inspirations for the club, while showing off many other important elements too. These days, more than half of all website visits come from a mobile phone. So your full website can’t just show up in miniature on a tiny phone screen. All that pinching and dragging to read the content is a pain and a major deterrant to visitors. 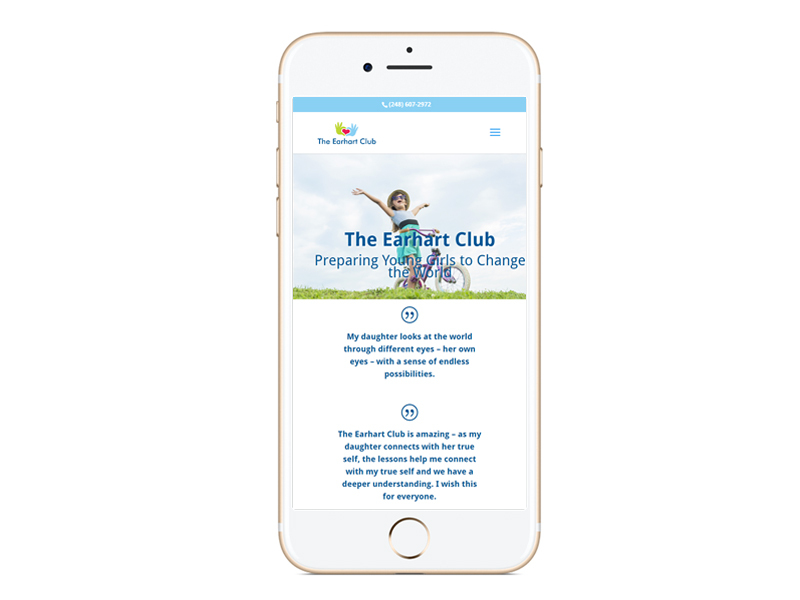 Our site for the Earhart Club, as for all of our clients, was designed and developed with a “mobile first” attitude, meaning everything was created to look great on a phone and provide an enjoyable browising experience. The Earhart Club is for 9 and 10 year old girls. So naturally, we incorporated some cheerful illustrated characters to tie the site together. From the Homepage to the Contact Page, the girls are ever-present, and a delight to see.